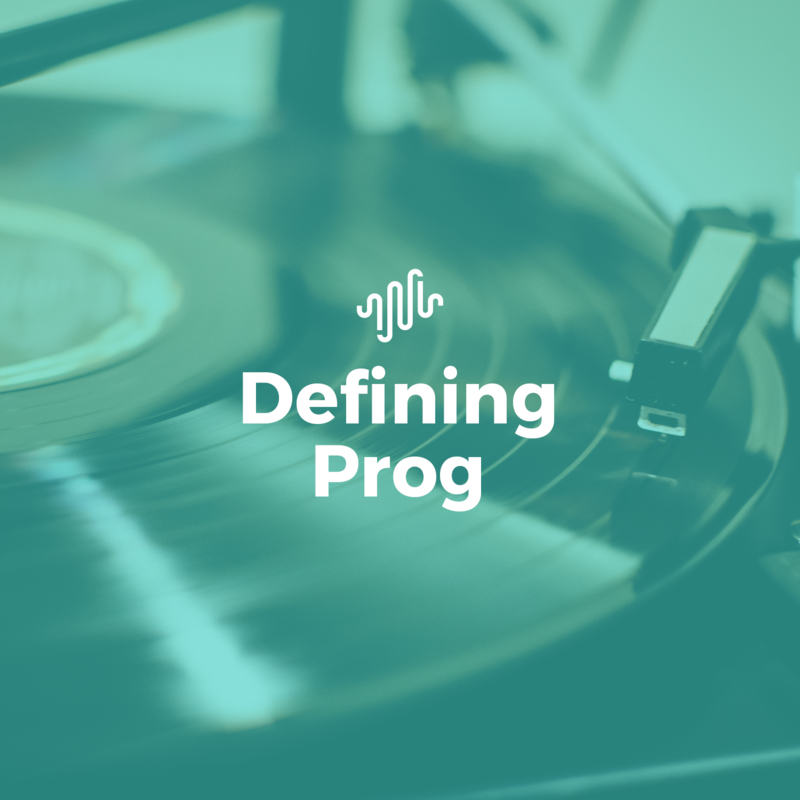 Defining Prog: Part 2 – What Makes Prog, Prog? Welcome back to our series on tackling the indomitable task of defining the indefinable. I hope you enjoyed your break, and are ready to dig back into our discussion on progressive music over the years. Last time, we ended off with a look at the ideological pillars that birthed the need for new means of expression, or methods of conveyance in music – i.e. the ‘why’ in regards to prog’s past. But even with those pillars undeniably casting shadows in the corridors of the hall that makes up all of progressive music to this day, it casts a net broad enough to encompass varieties of music other than what we are here for today. Plenty of music out there appeals to a theatrical sensibility, or an emotional connection, so what makes prog, prog? The answer to this question is surprisingly simple: synthesis. More specifically, progressive music epitomizes the idea of synthesizing elements (as discussed in part one) more so than any other genre, until the core of what it is cannot be defined by its individual pieces. While you might hear snippets of different styles in rap/hip hop, a bleeding of pop or rock into country, and most prominently, a wide plethora of unique ‘hooks’ in pop music, the scope and application of these are actually quite narrow in comparison to the fundamental shifts we see in prog. Let’s look at some prominent examples. If we take artists that incorporate progressive ideas into their music – in the traditional sense of the word – like Clipping or Lady Gaga. If you give the song “Summertime” by Clipping a quick listen, you’ll hear unique samples of instruments pervade the beat of the music, and a forward thinking melody in the flow that has that indescribably progressive ‘feel’. You could also use just about any Lady Gaga song and find pieces of this, but using “Paparazzi” as an example, you can hear deviations in phrasing, both in and out of the chorus line that define her music’s identity, in a way that is equally ‘forward looking’. The reason I use these two examples is because despite have progressive elements in their music, they themselves are not progressive. They contain the same basic structural frameworks that their contemporaries use and the unique elements are, on some level, only superficial. Small additions or stacked layers of pieces that contribute to a more impressive whole, but adorn the otherwise traditional. Compare this to the likes of Rush, who despite having many, many songs that follow traditional structures, they are undeniably the epitome of what we generally consider prog to be. This is due in part to their virtuosity and theatrical elements (see “Cygnus X-1” or the entirety of “2112“), but also in how they synthesize external ideas into the core of what their sound is. Their most well-known and revered album, Moving Pictures, is a perfect exemplar of this: shorter songs with catchy choruses and simple throughlines. But here we also see the integration of keyboards (something not as avidly present in earlier works) in “Tom Sawyer“, the combination of songs with and without vocals in “YYZ“, and most salient, their trademark blend of rock sensibilities with ethereal melodies, which pervades the small spaces between the larger moments. This synthesis is also why we often don’t consider music with a single instrument, or unified idea that has some of the defining features in Jerry Lucky’s list (see part one), to be under this umbrella. Take something like Jean-Michel Blais and his beautiful piano compositions. “Casa” off of II in particular has lengthy stretches and passage differentiations that should identify the music as progressive – it’s also an amazing piece that you’re doing yourself a disservice by for not checking it out, if you haven’t already. If you were to put even a single guitar or percussion in there, it likely would be accepted under this moniker. The same holds true for more fringe music, like acapella and obscure folk. This idea of synthesis brings us closer to defining prog, but we seem to have hit somewhat of a roadblock, as there are two prominent genres that seem to fit this principle as well, often being lumped in a similar category: experimental and jazz fusion. So why do we then differentiate these groups, and what makes prog unique? The easiest way we can clarify prog’s unique sound signature is to first define what is at the core of these other genres. Experimental music is, by all accounts, music that pushes existing boundaries of our understanding of the medium (in contrast to avant-garde music, which acts as a critique of current aesthetic conventions). Spend a few minutes with Monomena‘s “Monkey’s Back” and you’ll be painted a picture of music that doesn’t care about traditional conventions, moving from soundscape to soundscape, with vocals that are more spoken than sung, and melodies that come on and off the beat at will. The music here, though, does not attempt to convey a blending of ideas, settling on a simple set of instruments and compositional structure. In contrast, experimental bands that do layer on many elements and ideas, are the ones that frequently overlap into prog, such as Frank Zappa, and many are retroactively considered progressive once their ideas become more pervasive in the music industry; Pink Floyd and Primus both were considered far more experimental in the past, despite identifying heavily as prog now. Jazz and jazz fusion, on the other hand, are far closer to what we would describe as prog. To draw borders between these two we need only look to what drives the heart of jazz music, the principle that defines the lifeblood of the craft: spontaneity. For more on this facet, Engel at al. (2011) and Brown (1991) do a good job touching on the importance of spontaneity in jazz music. Spontaneity is what gives rise to the improvisation in performance, and the draw of the unexpected in consumption; the idea that you’ve never heard this specific piece before, nor will you again, capturing magic in its purest form. Sure, there is improvisation in a lot of prog, but it is usually relegated to defined moments in an overarching structure. Unexpected moments are also prevalent, but they are done so calculatedly, not for the sake of beauty in a fleeting moment. So while Snarky Puppy‘s We Like It Here performance has many layered elements, it’s free flowing and spontaneous ideals are what help neatly put them in a separate shelf from Opeth‘s Blackwater Park or Tool‘s Lateralus. If we accept that synthesis – save in cases of autotelic spontaneity – as one of the defining cores of what makes prog what it is, we can much more confidently view the progression of prog over the years. With this, we can incorporate bands under this umbrella that are undoubtedly progressive, but for reasons that are not always clearly defined. The blend of longform structures and technical ability with aggressive, sludgy riffing from Mastodon; The doleful death growls mixed with beautiful, but equally melancholic, clean melodies in early Opeth; The hard-hitting syncopated djent patterns and pop-laden vocal structures of Periphery; The pop punk rhythms and classic rock sentiments that pervade Coheed and Cambria‘s space opera; The delicate violin flowing through the crushing percussion and gutturals of Ne Obliviscaris; the list goes on and on. You can take any of the major acts in the progressive sphere over the course of the genres lifespan, and clearly identify the synthesis that took place to give it its ‘progressive’ title. If you were to split apart the bands above into their separate pieces, would they still be considered prog, even with songs that often span the double digit mark, and have a high level of technical ability, or would they be simply considered doom, death, and traditional metal? Moreover, you can see this synthesis layer over itself over the decades. If you take a look at something like Between the Buried and Me‘s Parallax II or Protest the Hero‘s Fortress, you can see influences that draw from other influences, creating layers within the layers of their initial synthesis. Prog is an onion is essentially what I’m saying, a very big onion that grows other onions on itself. This growth can manifest in the influences being placed in parallel (eg. the quiet acoustics of “Goodbye to Everything“, beside the frantic melodies and growling of “Astral Body” in Parallax II), or in perpendicular fashion (The use of soaring and guttural vocals, an alternating pace in percussion speeds, shifting focus of which instrument takes the limelight, and a host of smaller ‘this reminds me of this other band’ moments layered together in Fortress‘ “Bone Marrow” or “Goddess Gagged“). With this perspective, we can also see why some music falls out of reverence in the eyes of fans. When Opeth released Heritage and subsequent albums, fans felt the loss of the more aggressive stylings, reverting to an experience that seemingly lacked the depth of their earlier releases. There are certainly those who really enjoy this new sound and its’ throwback to 70’s prog, but this de-synthesization was felt as a step back from the inclusion of these newer unique elements. The same could be argued for The Contortionist and their post Exoplanet releases. Furthermore, you can see the extreme of following down one path or idea too far in the likes of Transatlantic‘s Kaleidoscope; virtuosity for virtuosities sake, a wide variety in musical presentation within a narrow set of principles. Arguably, the least innovative subgenre of prog that has seen a surprising spike in popularity over the course of the last decade or so, is instrumental prog metal, deserving merit to discuss briefly by itself. Since the rise of Animals as Leaders and the resurgence of guitar oriented music in the late 2000’s, as well as the ease of creation/promotion of music that the instrumental craft offers in a post-internet, post-YouTube world, we have seen no shortage of bedroom artists spread their wings in the industry. Sithu Aye, Plini, Intervals, Polyphia, and CHON are likely the ones you know well, but the list goes on far, far longer, with many acts being influenced by, and attempting to emulate the success of those mentioned earlier. The downside to this is a distinctly homogenized sound (not unlike the trend instrumental prog took one Dream Theater joined the scene in the mid-eighties), one that has become almost suffocating. In many ways, bands like Intervals and Sithu Aye are the natural extension of the instrumental guitar works of John Petrucci, Paul Gilbert, Joe Satriani, and Jeff Loomis. There is a market for this, and there can be beautiful ingenuity within these constraints (Just listen to Set Course for Andromeda‘s album spanning concept or the inventiveness in composition from Plini‘s works), but the overall trend has been towards a very traditional verse, chorus, verse, chorus, refrain structure (see The Shape of Colour) that acts as the framework for nearly all pop and rock music. That’s not to say the core ideals of synthesis (or the initial pillars that bred early prog) are entirely lost on this subgenre. There are a number of shining examples throughout the years that wear prog as a proud banner, rather than as a quick tag to be used in a google search. Liquid Tension Experiment, An Endless Sporadic, Nova Collective, Night Verses, and Lux Terminus all build on the prog of their times, crafting unique experiences that touch on these aforementioned ideals. Back again, at the end of another long sprawl of text. You, as always, have my thanks for making it this far. By now, we have painted a clearer picture of how exactly to view what prog is, by comparing it to what it is not. By viewing synthesis as the one of the core tenets that defines prog, we can not only explore what differentiates prog from other music, but retroactively explore how shifts within this genre took place, to look to the future of how this genre could move forward. Previous PostFeast Your Eyes on Protean Collective's Full-Band Playthrough of "Under Siege"
Next PostVoid Ritual - "Death Is Peace"